What I have noticed is the more I can accept whatever is going on in the moment, the more connected I feel to my heart. I see that accepting what is happening ‘inside’ is the direct route to accepting whats ‘outside’. Obviously this is not an easy task, especially when I do not like what is going on! But taking time each day to contact myself and simply breathe into the different parts of my body while welcoming the sensations, has really supported me in open-hearted acceptance – of myself, and of whatever is happening in the moment. Make yourself comfortable placing your legs up the wall and a pillow under your head. This position calms and nourishes the physical heart, and has a quieting effect on the mind. Bring one palm over the other just above the pubic bone and direct your breath and awareness into this area. Feel the warmth of your hands calming and comforting yourself. Moving slowly up the mid-line of the body, place your hands on as many different areas as feels good, ending with hands lightly resting on throat. If there is a region that feels particularly tense, place one hand there and another hand on an area that feels relaxed and well. Sense well-being being transmitted between the two. Include a mantra to stay connected to your breathing. I often use the word ‘Shalom’ which traditionally means peace, but like many ancient words, contains so much more. Practicing in bed before sleep sets us up for a deep nights rest. It is also nourishing at any time of the day to slow down an overactive mind and come into the present moment. There it is. Simple and effective. Giving yourself the time/space to do will be the challenge. It is in the practice of Partner Yoga where I have felt the most continuous stream of open hearted presence, particularly during more extended trainings. There is something truly magical that happens when humans share conscious, compassionate contact over a period of time. All the ways that we normally judge, ourselves and each other. quickly fall away and we see and feel how we all want the same thing – to love and be loved, to be seen, heard and understood and to be accepted unconditionally. This has been my consistent experience over many years in each training I have presented. 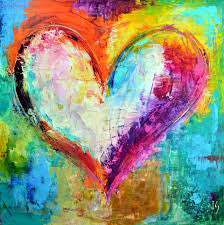 Sometimes, this feeling of unconditional love and bliss shows up quickly, even in a 2hr workshop but for many of us, this is not quite long enough to drop our defenses and make the kind of connection that truly changes us.